House fires are feared by all homeowners. Fortunately, most house fires are preventable. Following these tips for home fire safety will reduce the chances of a tragedy happening to you. A house fire is not always immediately noticed. If a fire occurs, everyone in the home is vulnerable to smoke inhalation and injuries. Installing smoke detectors on every floor of your home in hallways, bedrooms, and the kitchen alerts to you smoke indoors. Maintain the smoke detectors by checking their functionality every few months. Keep spare smoke detector batteries in your house and replace the batteries when necessary. Remain in the kitchen while cooking on the stove. Leaving unattended food heating on the stove is a fire hazard. Remember to turn off the oven and any stovetop burners after cooking, especially before leaving the house. Always set a timer when using the oven to prevent burning food and cooking fires, and never leave food cooking in the oven when you leave the home. 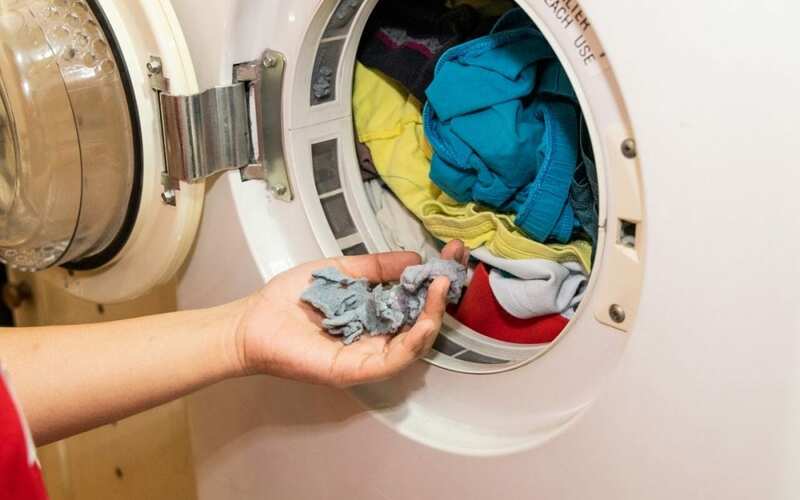 Teach your family members basic instructions for washing and drying clothes, including cleaning the lint filter in the dryer every time you use it. Dryers become full of lint through years of use. Cleaning out your lint trap is easy and should be done before each load of laundry. A larger fire hazard is the lint that accumulates within the dryer vent itself. Have this cleaned at least once a year or more depending on how much laundry you do. Lint is flammable and can cause a house fire if it’s not properly removed. Space heaters come in handy during cold weather by providing extra warmth in your living spaces. To safely use a space heater, don’t place it near curtains or furniture. Keep the heater away from areas with piles of clothes or blankets. Children should be taught to play away from the heater. Place the space heater on a heat-resistant surface that’s both stable and level. Always turn it off before you leave the house. American Home Inspection Services provides home inspections and related services to Southeast Michigan. Contact us to schedule an inspection. January is National Radon Action Month, so take some time to familiarize yourself with the risks of radon in the home and how to best protect your family. 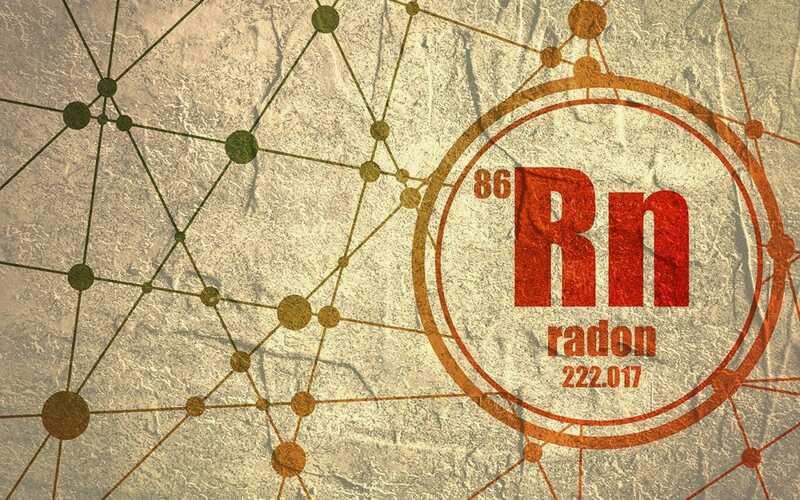 Radon is a radioactive gas that naturally forms underneath the ground. Radon is found throughout the United States and any home is at risk of having unsafe levels inside. After radon forms in rocks and soil, it floats upwards into the atmosphere, or in some cases, into buildings. When it gets inside a building and is not ventilated out, the levels of radon build and the risks of radon become a problem. Radon is dangerous to breathe because it has been known to cause lung cancer. In fact, an estimated 21,000 deaths a year are the result of radon-induced lung cancer. Radon is especially unhealthy for children to breathe because their lungs are smaller. Some studies have also shown a positive correlation between indoor radon exposure and childhood leukemia. When combined with cigarette smoking, the risks of radon in the home are even more pronounced. How Do You Detect Radon? Because radon is invisible and has no smell, it is impossible to know how much radon is in an indoor space without a radon test. While there is the option to buy a cheap DIY testing kit and administer the test yourself, poor quality materials and user error can make these tests inaccurate. Instead, hire a trained professional with superior testing equipment to perform the test. The risks of radon in your home are too serious to ignore. January is National Radon Action Month and a great time to test the levels of radon in your home so that you know that your air is safe to breathe. If your home tests at 4 picocuries/liter or higher, you should hire a radon mitigation company to lower the levels. Click here to learn about other ways to reduce radon levels in the home. American Home Inspection Services provides Southeast Michigan with professional radon testing and home inspection services. Contact us to book our services. It is in your best interest as a homeowner to keep your plumbing system in good shape. By taking precautions to prevent plumbing leaks, you are more likely to avoid a plumbing emergency. Plumbing leaks tend to happen more in winter because of freezing temperatures. Try these four methods for preventing plumbing leaks at home so you don’t have to deal with a water interruption, damage, and an expensive plumber’s bill. When a pipe freezes the frozen water expands and can cause the pipe to burst. To prevent the damage that a burst pipe can cause, use foam pipe insulation on all plumbing that is outdoors, in the crawlspace, or in an unheated basement. 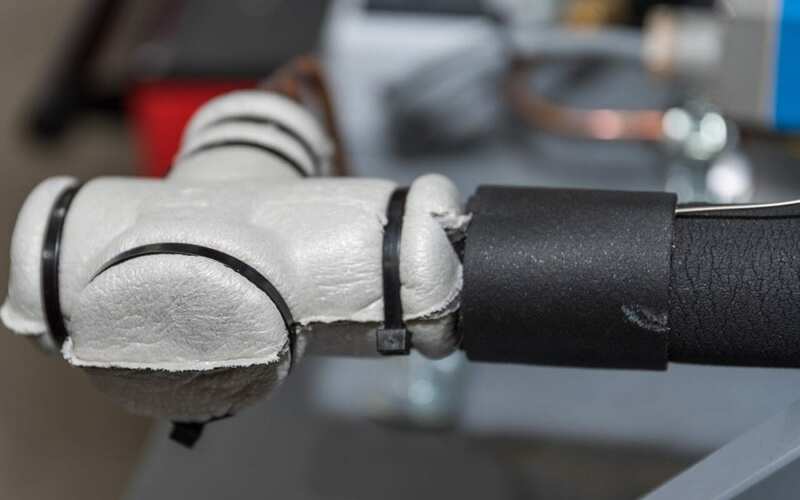 Wrapping your exterior faucets and disconnecting garden hoses will also protect your pipes from the cold. The hoses on appliances like your washing machine, dishwasher, and fridge don’t last forever. It is common to neglect these hoses until they spring a leak. Check these hoses for cracks, moisture, or if they just feel brittle. Installing replacement hoses before they fail is an easy and inexpensive home maintenance task. Excessive water pressure puts stress on plumbing pipes and can wear on them over time. You can adjust the water pressure in your home yourself. It is recommended to keep your water pressure in the ballpark of 40-45 psi. to improve the life of your plumbing system and prevent plumbing leaks at home. Never let your water pressure go above 60 psi. Some cities’ municipal water supply is rich with minerals, or “hard”. While this may have health benefits, it is not healthy for your pipes. A precaution for preventing plumbing leaks at home is to install a water softening system to remove some of the mineral content. These systems can be purchased at home improvement stores and installed by a handy homeowner. American Home Inspection Services serves Southeast Michigan with home inspection services. Contact us to schedule an inspection. Clean water is a limited resource and many are increasingly aware of this due to the water problems Flint has experienced in recent years. While this alone may be enough to encourage you to find ways to save water at home, you may also want to reduce water consumption in an effort to save money on your utility bills. If you are serious about conserving water, consider making a few home improvements to get impressive results. If you are like many others who have been interested in reducing water consumption, you may have tried to save water at home by adjusting bathroom habits. For example, you may now turn off the water while you brush your teeth and limit your time in the shower each day. When you and everyone in your home makes these adjustments you can save a substantial amount of water over the course of a year. However, you may now be looking for a new way to save water at home so that you can enjoy even better results. If you are ready to save more water, consider making these home improvements in the near future. The amount of water that you use is directly related to the pressure or flow of the water in most cases. 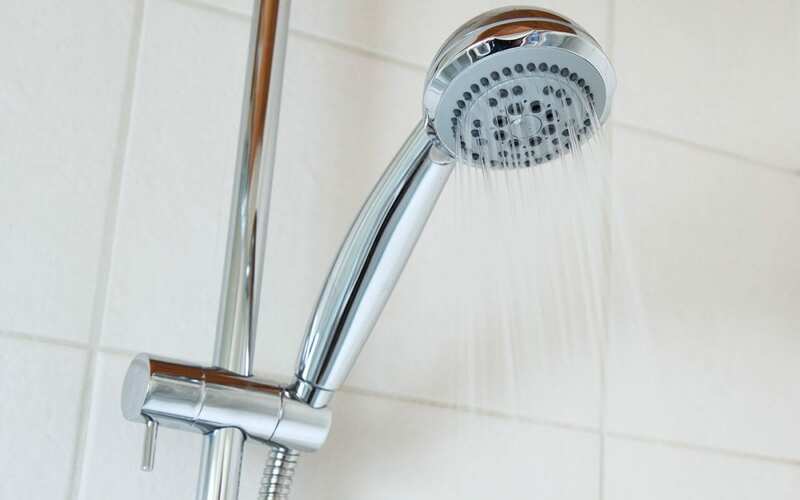 Consider that you may turn the water faucet on more forcefully when you need to wash your hands and you may blast the water at full force when you are showering. Low-flow plumbing features use aeration to deliver a powerful stream of water as desired, but less water is used in the process. Aerated faucets can be installed in all of your sinks and showerheads. A similar design is available for toilets. You can potentially save hundreds of gallons of water each week by upgrading your fixtures to be more efficient. When you are looking for ways to save water at home, it is important to consider how you can maximize rainwater. Without a rainwater collection and storage system, the potential for using rain is lost. For example, the lawn and vegetation may receive ample rain during a shower, but all of the rain that falls onto your roof and through your gutters runs off into your driveway or landscaping. Try connecting your gutter system to a rainwater storage tank so you can collect this runoff to use around your lawn and gardens. By taking this step, you can eliminate the need to draw water from the public water supply to keep your lawn or garden hydrated. Your dishwasher, washing machine, toilet, and hot water heater make up a lot of your water consumption. You can upgrade your dishwasher and washing machine to WaterSense and ENERGY STAR® certified models that use less water to do the same job. A tankless hot water heater is another upgrade to consider. Because a tankless hot water heater heats water on-demand, you can draw hot water when needed. You can see that there are numerous improvements that you can make to save water at home on a regular basis. Consider starting with one improvement to begin conserving water, and you can gradually make additional improvements for further conservation. American Home Inspection Services provides home inspection services for Southeast Michigan, including water testing and well inspections. Contact us to schedule an appointment. Summer has come and gone and fall is nearly upon us. The kids are back in school, so pack away all the camping, swimming, and other fun summer gear and make sure your home is ready for the first of many cooler days. 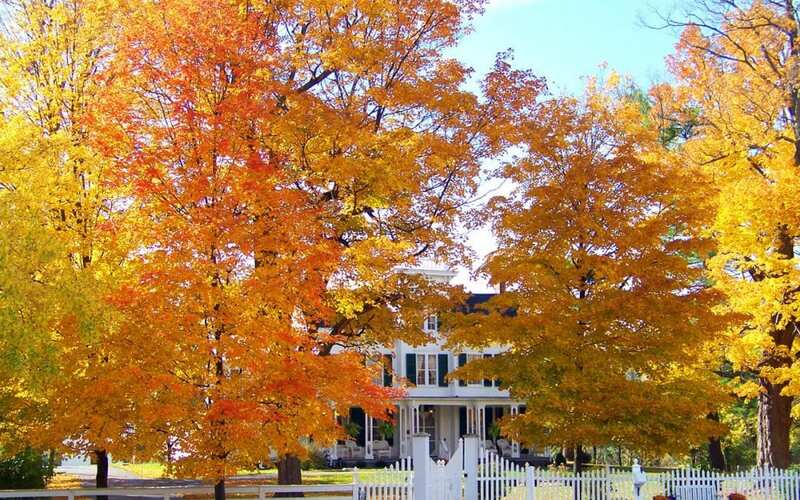 Use the following 8 tips to help you prepare your home for fall and the coming winter. Doing so will protect you and your home, save you money, and help your home look better next spring. Protecting your lawn over the winter will help it grow more lush and green the following spring. The hot summer stresses grass. Help refortify your lawn with a good dose of fertilizer now. Not only will you enjoy an attractive lawn next year, but your neighbors will also appreciate your efforts. Don’t turn your patio, walkway, or driveway into a skating rink overnight. Before that first freeze comes unexpectedly, turn off and drain outdoor water faucets, hoses, and sprinklers. Then you can take steps to prevent pipes from freezing and bursting when the temperatures drop to very cold for long periods. Around mid-October, or earlier if you live far north, mow your lawn for the last time of the year. After that, drain the tanks of your lawn mower, weed eater, and other lawn equipment. If you don’t, unused gas will lead to gunk and other harmful buildups that may ruin your equipment, leaving you to replace it in the spring. Now is a good time to sharpen mower blades. Cleaning the gutters is an important task to prepare your home for fall. Clogged gutters can eventually lead to a damaged foundation and a host of other problems. Grab a ladder and someone to help you to make this task easier. If your house is one story, there are leaf blower attachments available that will help get the job done. If needed, hire professionals to clean the gutters. Your AC has worked hard all summer and now’s a good time to prepare it for a long winter’s rest. Clean the coils, filters, and air ducts, or you can hire someone to do it for you. Once clean and dry, cover the unit to protect it from debris and ice. Switch thermostats from cooling to heating. Prepare your furnace for its first use this season by cleaning the combustion chamber, inspecting the flue pipe, and changing the filters. Help your heating system function more efficiently by checking for leaks around windows and doors. 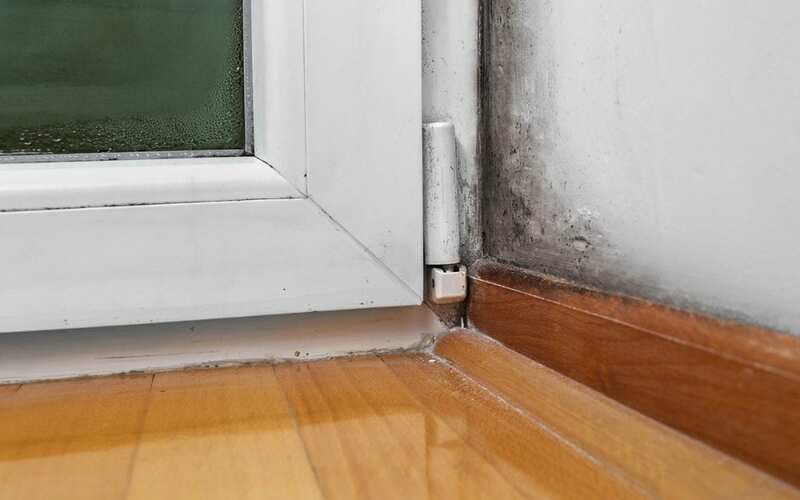 Use weather stripping and caulking to seal any areas that aren’t airtight. Checking your chimney is an important safety tip to prepare your home for fall. The last thing you want is for smoke, soot, or carbon monoxide to fill the room. Even gas fireplaces need chimneys inspected for bird or squirrel nests blocking the flue. Chimney pipes need to be free of cracks so smoke won’t enter the room. Inspecting and cleaning chimneys is best left to the professionals. Conduct a complete inspection of your roof, or hire a professional home inspector if you are not comfortable. Look for loose, missing, or curled shingles, and wind damage. Stop problems that may turn into leaks through the wind, rain, and snow of winter. Check gutters for loose shingle granules, which may be a sign you need a new roof. The first cold, snowy spell can be a surprise, leaving customers scrambling for supplies at the last minute. Beat the crowds and get ice and snow-clearing supplies and equipment ready now to prepare your home for fall. You may even consider investing in a snow blower so that you can avoid strenuous snow shoveling. You will likely save money by buying them when they are not in such high demand. In Michigan, it can turn from fall to winter very quickly. Be sure to check out our post about preparing your home for winter. American Home Inspection Services serves Southeast Michigan with home inspection services. Contact us to schedule an appointment.